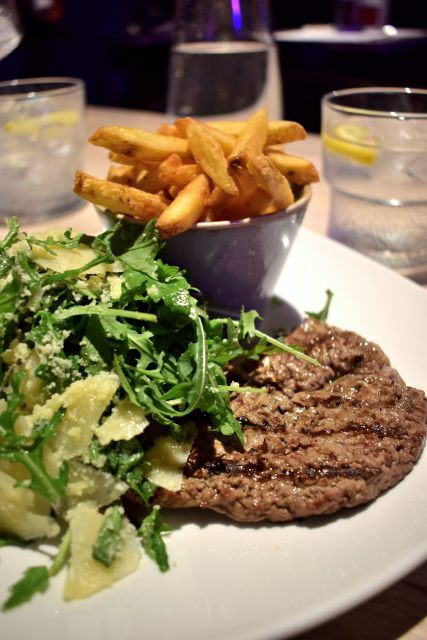 The ethos behind The Laundrette is carbs and cocktails with a dollop of fun, and that’s exactly what it delivers. 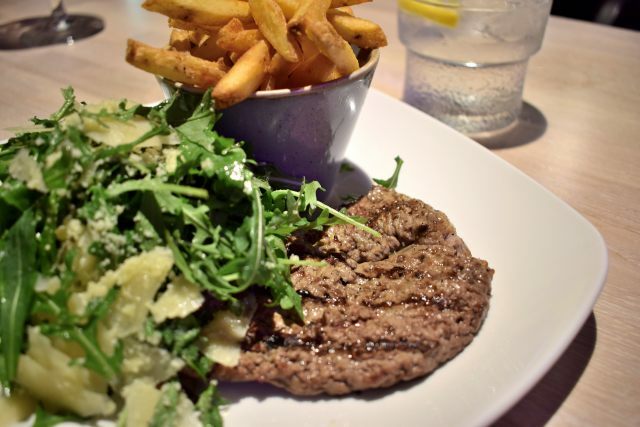 Born in Chorlton, Manchester, The Laundrette is a space where calories don’t mean a thing; a space where eating is treating. 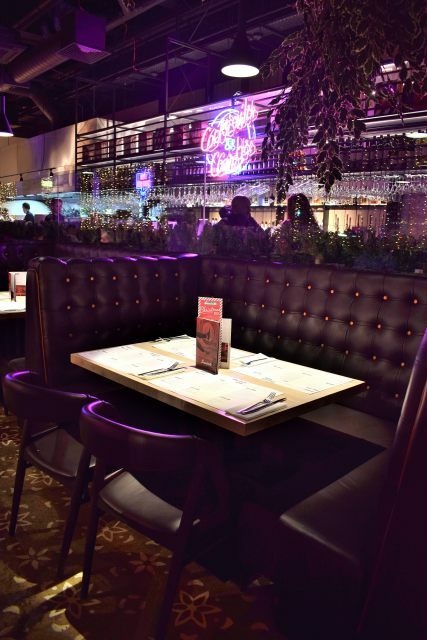 It’s newest restaurant situated in Westgate Road, Newcastle, offers exactly this combined with a laid-back soundtrack and pumping atmosphere. Expect industrial-inspired decor with a stylish appeal. Draped in pop-colour neon lights this eatery oozes super-cool vibes. It’s beyond trendy, which explains why, by the time I left, the restaurant was bustling with people. Before I even had a chance to look at the food menu, the cocktails grabbed my attention. Now The Laundrette know how to do a drinks menu – I’m talking pages and pages of tasty tipples and quirky concoctions. 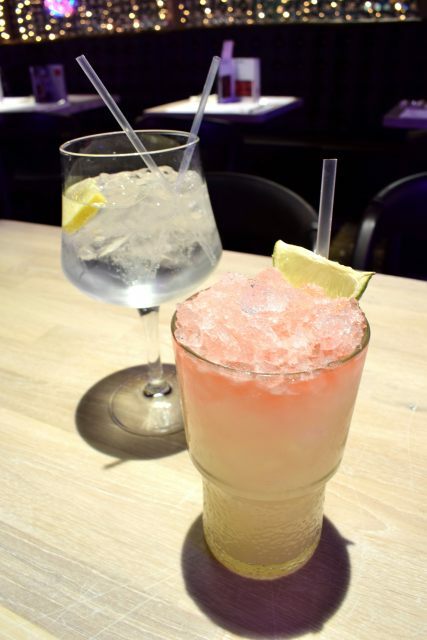 Plus, for me who took the car, there was a range of mocktails, and funny enough I had the Designated Driver – a mixture of vanilla, fresh lime and ginger beer – yum! 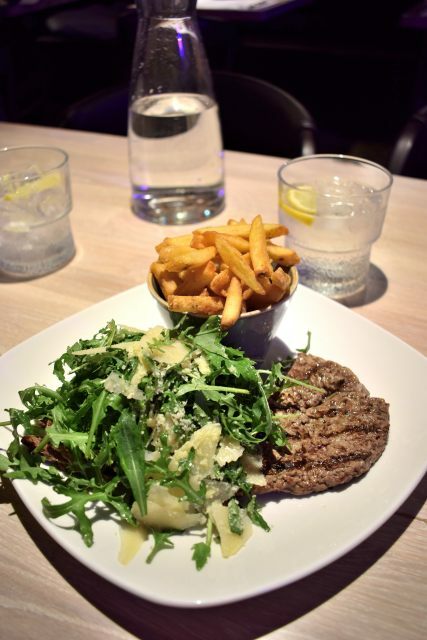 At the moment there’s two menus to choose from – the main menu and the festive menu. While my friend, Katy swayed towards the main menu, I decided to get my tastebuds into the Christmas spirit with festive-inspired food. 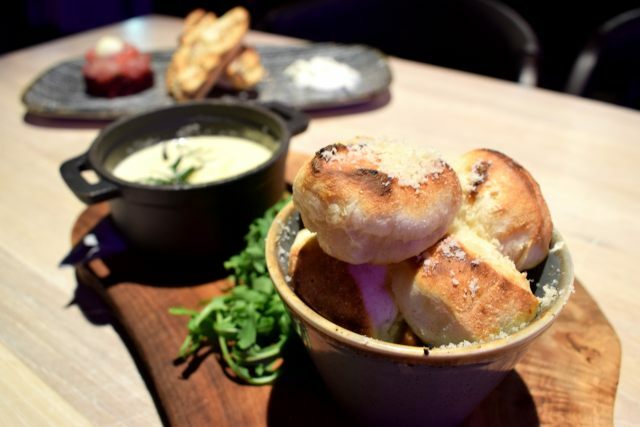 There’s nothing I love more than cheese – cheese is literally life – so I couldn’t help but order the dough balls for starters, while my friend Katy chose the tuna tartare from the other menu. Katy’s starter came on a bed of cured beetroot with crostini and topped with a quail’s egg. 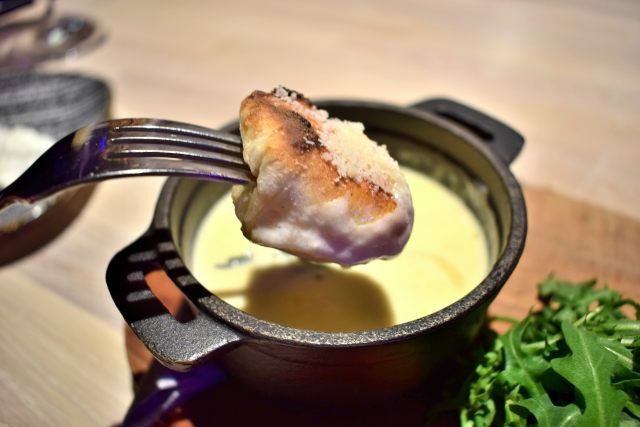 My heart eyes appeared as soon as I saw mine – a bowl of dough balls, which were lightly sprinkled with a dusting of cheese sat next to a pot of gooey smoked truffle cheese – it was the ultimate fondue. 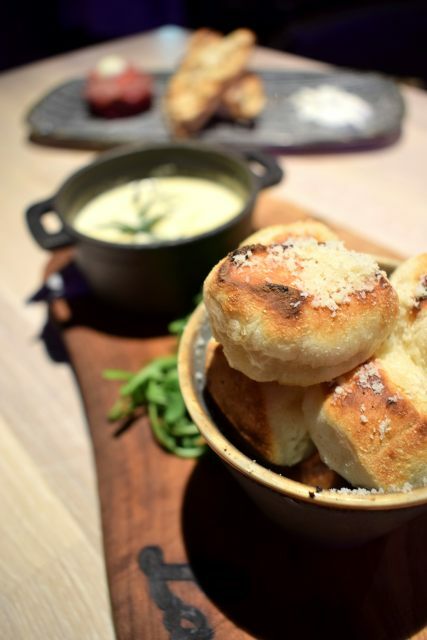 My starter was absolutely incredible, the dough balls were soft and the cheese was full of flavour. Since there was loads of cheese left over, our waitress, Hannah, advise that I keep the fondue pot encase I wanted to dip anything from my main into the cheese – it was the best idea ever. Following our starters, Katy went for the polenta chicken and mixed leaf salad and I went for the horseradish and garlic marinated rump steak. Katy’s salad was far from boring – chunky pieces of chicken tossed with tomatoes, roasted red bell peppers and tuscan beans and topped with a generous helping of chilli and sour cream dressing. 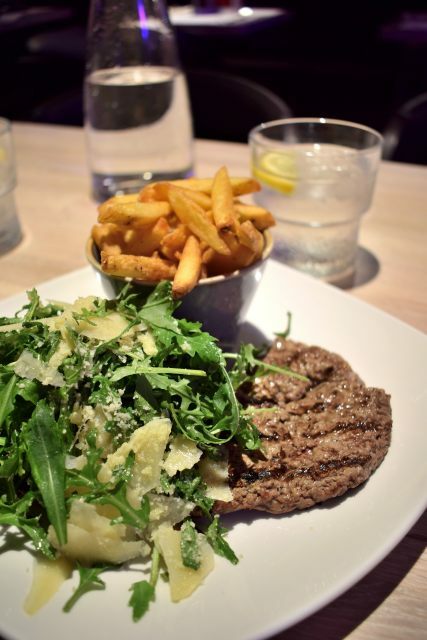 My main came beautifully presented too – a huge slab of steak sat next to a lavish portion of fresh watercress with pieces of grana padano, and served with a rustic pot of fries. Before I tucked in I could smell the horseradish and garlic and it just made my mouth water even more. The steak was cooked to perfection; tender and juicy. 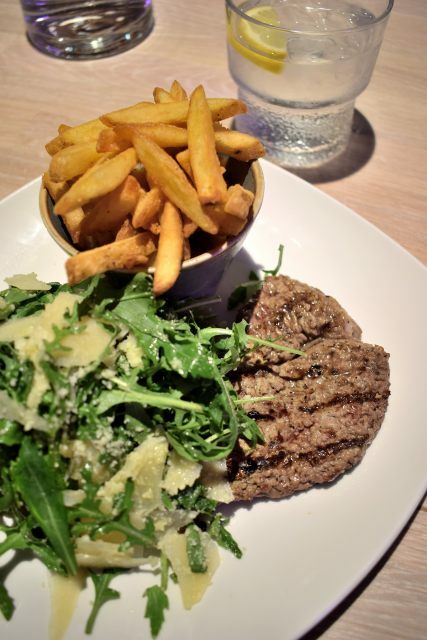 Thanks to the marinate on the steak I didn’t need a sauce either, the flavours and the meat was more than enough. The watercress was such a lovely alternative to the standard tomato, mushroom and onion rings, in fact, I really prefered it. The fries were crispy on the outside and fluffy in the middle and were ideal for mopping up the rest of that smoked cheese sauce. OMG they were incredible. Now, those of you who know me know I love anything sweet. I’m such a dessert person, however, I couldn’t breathe. If I was wearing jeans, you betcha I would have undone my top button. Normally when I’m feeling full I can wait 5/10 minutes and then I can squeeze in dessert, but not tonight, not this time. It was such a shame to because The Laundrette offers sundaes, cheese boards, puddings and even a share-sized fondue platter. I guess this gives me another reason, other than the amazing food, service and overall experience, to return. Have you been to The Laundrette? What would you order? 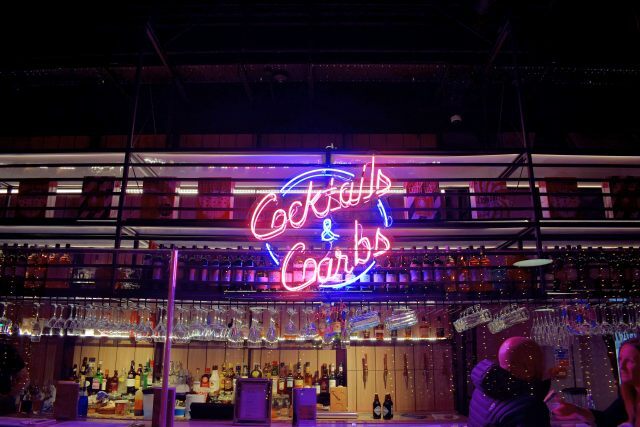 Are you a carbs and cocktails kinda gal?